The Farpoint 55 is the ally of efficient packers who like to explore the planet while going light and fast. Osprey Farpoint 40-liter travel pack is lightweight, streamlined and full-featured, ideal for fast-moving globetrotters who either like to take a good amount along or plan to be gone awhile. Pack it full and see the world. A great choice for exploring new continents, the Farpoint 70 offers large capacity, comfortable fit and two torso sizes for great fit. 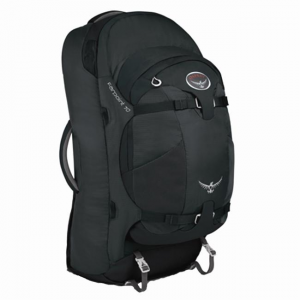 Osprey Farpoint 80-liter travel pack is lightweight, streamlined and full-featured, ideal for fast-moving globetrotters who either like to take a good amount along or plan to be gone awhile. Pack it full and see the world.